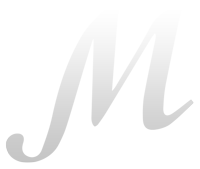 The American magazine Forbes regularly compiles a list of the world’s highest net-worth individuals. As a European who has a thing for statistics, I was interested to see how many of these people live here. 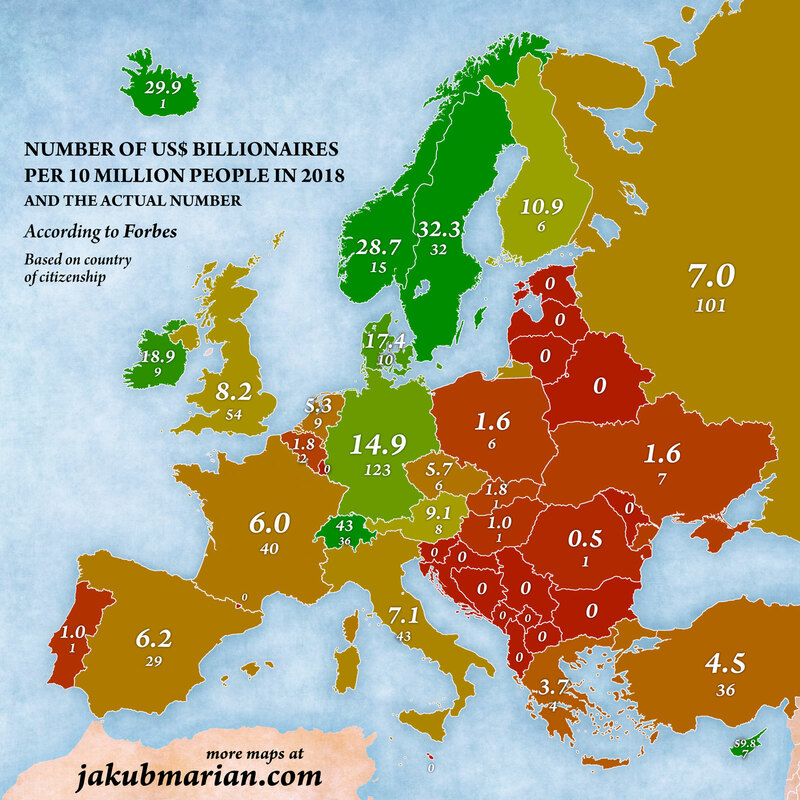 The following map shows the number of US\$ billionaires per 10 million people (i.e. per capita multiplied by 10 million) and the actual number of billionaires (based on their country of citizenship). For comparison, here are the figures for other major economies: United States 18.0 (585); Japan 2.8 (35); China 2.7 (373); Brazil 2.0 (42); India 0.9 (119). It should be noted that two European microstates have at least one billionaire, which gives them insanely high per-capita figures: Monaco with 1039 billionaires per 10 million inhabitants (and 4 actual billionaires), and Liechtenstein with 265.5 billionaires per 10 million (1 actual billionaire). Guernsey, a British crown dependency, also has one billionaire. Luxembourg, surprisingly, does not have any billionaires. Even though there were 17 billionaires resident in Luxembourg in 2014, none of them is, apparently, a Luxembourgish citizen.